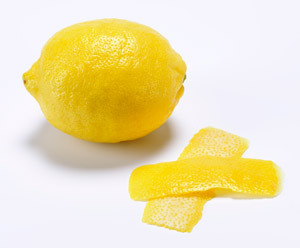 Citrus zest for ‘twists’ should be cut as pith-free as possible. This means acquiring the skill with a paring knife (not a vegetable peeler – nor a channel knife) to cut a strip of zest that has very little of the white pith attached to it. The pith is very bitter and too much of its presence can foul the flavor of a drink. If the zest has been properly pared so that it is mostly pith-free, not only may it be twisted for a fine mist of essential oil, but it may also be rubbed around the rim of the vessel, dropped in the drink itself, or even stirred or shaken with the liquid ingredients. In some establishments, bartenders are instructed to do no more than ‘twist’ over the drink while never letting ‘the twist’ actually come into contact with the liquid or the vessel. This approach not only precludes some of the aforementioned applications that can be delightful, it also assumes that bartenders do not have (or cannot acquire) the knife skills necessary to cut zest that is mostly free of pith. Perhaps the classically-trained cook in me expects too much of my fellow bartenders, but there is no substitute for the paring knife and the ability to use it properly.